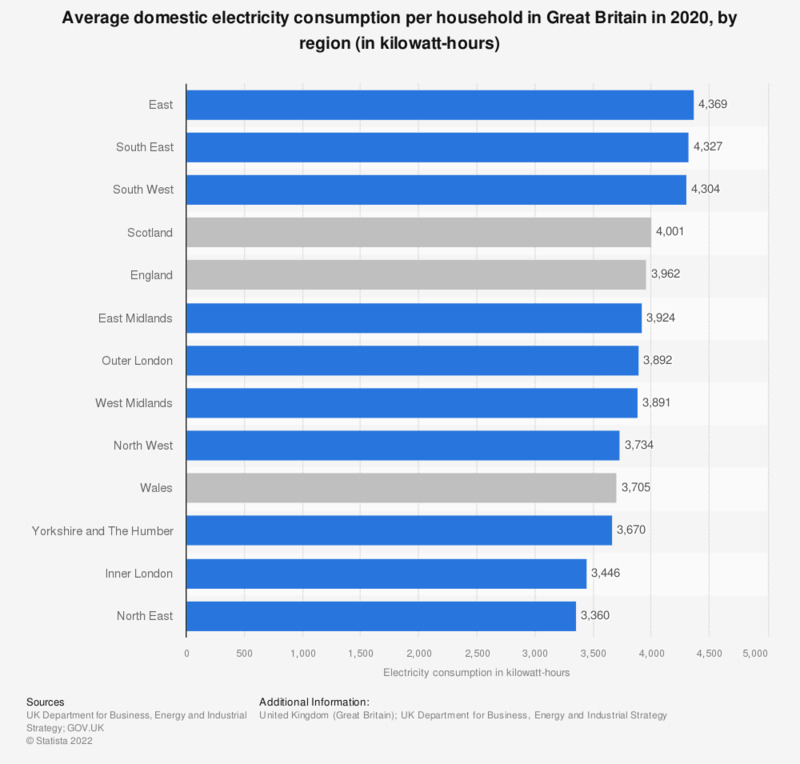 This statistic shows the average domestic electricity consumption in the United Kingdom (UK) in 2017, broken down by region in kilowatt hours (kWh). The highest average consumption per household was seen in the South West, at an average of 4,279 kWh. *Household figures are based on various sources. Everything On "Electricity consumption in the United Kingdom (UK)" in One Document: Edited and Divided into Handy Chapters. Including Detailed References.